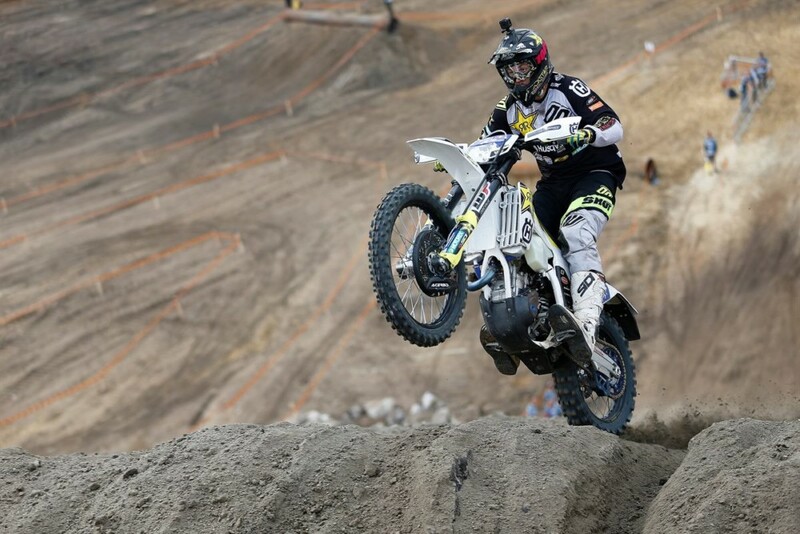 Rockstar Energy Husqvarna Factory Racing’s Billy Bolt has claimed a hard-fought third place overall result at the fifth round of the World Enduro Super Series – 111 Megawatt in Poland. With teammates Graham Jarvis placing eighth and Alfredo Gomez ninth, Bolt’s results sees him climb to the runner-up position in the WESS championship standings. As winner of the opening round of the World Enduro Super Series in Portugal, Bolt headed to the Polish Hard Enduro keen to put his Husqvarna back on the podium. Working diligently during the short summer break following his fourth place at round four’s Romaniacs, Bolt began his race weekend in confidence spirits. Finishing fourth in qualification, he started Sunday’s three-lap race around Europe’s largest coal mine inside the top five. But numerous crashes on the motocross section of the course saw him fall back before working hard to fight his way back up the leader board. Racing his way into contention, he held seventh as they began lap three. Hitting his stride, the 21-year-old began to rapidly tick off the riders in front of him. Setting up a thrilling finish, Bolt claimed third, ending his race just seven seconds behind second placed Taddy Blazusiak. Although not favouring the sandy conditions, Graham Jarvis was keen to put his best foot forward at 111 Megawatt. A bad start left him with work to do on lap one as he was slowed by the dust. Building speed with each kilometre, the Husqvarna rider steadily worked his way inside the top 10 to cross the finish line in eighth. With 111 Megawatt marking Alfredo Gomez’ second WESS outing in 2018 following early season knee surgery, the Spaniard knew challenging for a podium result would be a difficult task. Nevertheless, acquitting himself well and showing his fitness was not lacking, Gomez overcame a costly early mistake to finish ninth. The World Enduro Super Series continues with round six at Hawkstone Park, Great Britain on September 22/23.